Douglas Cook, half of the screenwriting duo behind The Rock and Double Jeopardy, has died. No cause of death has been given, but Deadline says Cook was “surrounded by his family.” He was 56. Cook and his writing partner, David Weisberg, weren’t the most prolific screenwriters in Hollywood, but their films definitely made an impact. Their first project together was a 1991 TV movie called Payoff, and after that they wrote the Patricia Arquette-starring comedy Holy Matrimony, which was directed by Leonard Nimoy. They also wrote the Tommy Lee Jones/Ashley Judd thriller Double Jeopardy and the upcoming Criminal, which stars Kevin Costner, Tommy Lee Jones, Gary Oldman, and Ryan Reynolds as people involved in an ill-fated CIA plan to put the memories of a dead agent in the body of a dangerous killer. That relatively high-concept premise is the same sort of action movie glee that Cook and his partner brought to The Rock, the 1996 Michael Bay film that was easily their biggest success. 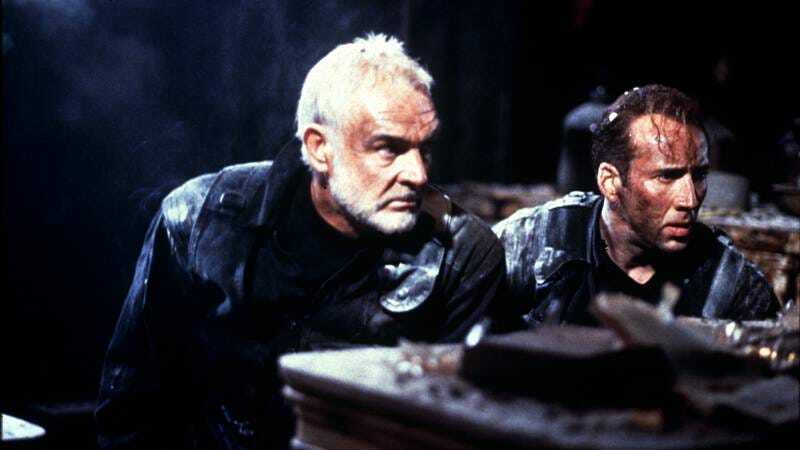 One of Bay’s first movies, The Rock—which starred Nicolas Cage and Sean Connery as two men trying to stop rogue soldiers from destroying San Francisco with nerve gas—helped introduce the world to the over-the-top action and drama that have become hallmarks of Cook’s career, but its emphasis on character and structure helped it avoid the unchecked excess that has also become a hallmark of Bay’s career. Basically, the script reined Michael Bay in, and it helped make it easily one of his best movies. Criminal, Cooke’s aforementioned final film, will be released in January of next year.